As 2009 was one of the worst years I can remember in music history, 2010 has rebounded very nicely. Either that, or I’ve finally been able to just completely block out all the sewage that has been released over the radio. But so far, 2010 has seen some solid releases from Eminem, Nas, Stone Temple Pilots, Reflection Eternal and B.o.B., among others. It’s also going to get better as the following albums to be released by the end of the year are coming with much anticipation. - In a strange move, TBS is releasing a CD/DVD of a live acoustic performance they performed back in December. This wouldn’t seem out of the ordinary had they not kicked out two of the members four months later and then reunited with the original members back in May. So this is awkward to say the least as the band is once again different however I cannot wait for this album as not only is it a live acoustic performance, but there is a full string orchestra behind them as well. I’m already labeling this one of my favorite albums in my collection. - This will be the debut album released by somewhat of a super-group formed by one of the many former Taking Back Sunday guitarist/back-up vocalist Fred Mascherino, former Coheed & Cambria drummer, Josh Eppard and former Hot Rod Circuit frontman, Andy Jackson. I was wary about this project at first, simply because Mascherino released a sub-par solo record following his 2007 departure from TBS but most of this album has already leaked and surprisingly it’s pretty good. - I’m actually pretty embarrassed that I just found out about this release date a few weeks ago. Normally I’m on top of stuff like this however LP will release their first album in more than three years and I have no idea what to expect as nothing from the album has leaked yet, not even the first single (which is set to be released Monday.) Their third album was significantly different/darker than their first two albums and was more straight forward rock than it was rock/rap. I do know one thing, legendary producer Rick Rubin co-produced the album with the group’s emcee, Mike Shinoda and anything Rubin touches turns into gold. - I’m running out of patience with Weezer, who I still consider to be one of my favorite bands of all time. With that said, their last two releases were borderline embarrassing, especially 2009’s inexplicable Ratitude. It’s almost as if the band isn’t trying anymore. Frontman Rivers Cuomo promised that the band will return to a “raw rock” record but I’m done with the Lil’ Wayne collabos, songs about pork and beans and hanging out at the mall. The band that used to spend two to three years writing and producing a record will shell out it’s third album in two years. That doesn’t sit well with me. Nonetheless, I’ll buy it. - This album was supposed to be released last year, then in February, now Budden is saying it’ll be released in September. I’ll believe it when I see it. I have my doubts this will actually be released but I’m hoping it does because Budden is one of the five or six rappers I still really look forward to and can still stomach. - Kanye's first release since his abysmal 2008 808s and Heartbreak where he returns to rap music and not, well, whatever 808s and Heartbreak was. Kanye has been completely out of the limelight since he embarrassed himself at the MTV music awards after he stormed the stage telling Taylor Swift he'll "let her finish" before claiming Beyonce's "Single Ladies" was the "best music video of all-time." Well, Kanye, I'm gonna let you finish recording your record, but I'm writing the best blog of all-time. - As I’ve said a few times earlier on this blog, Jimmy Eat World is one of the most underrated bands in the past 12 years. This will be their sixth release and first in three years. I have yet to hear any material from the record as I’ve purposely avoided listening to the raw demos but I’m sure with the band’s track record, it will be just as good and consistent as their previous material. - Although one of the most popular rappers of the decade, I believe T.I. has been pretty inconsistent. Didn’t care for his debut, I’m Serious (I'm serious), but fell in love with his follow-up Trap Muzik. Urban Legend was decent while KING was forgettable and T.I. vs. T.I.P. was downright atrocious. Paper Trail, released in 2008 before his year long prison stint was solid, and probably my second favorite T.I. record so I have high expectations for King Uncaged. - While a little harder than most bands, Senses Fail has quietly put together a solid career. This will be their fourth LP in the past seven years and they continue to gain critical and commercial success following their last two albums Life is a Waiting Room and Still Searching. - This has been on my most anticipated list since January of 2009. Enough is enough. The album is done and has been done for quite some time. In short, this is stuck in developmental hell. Universal Records has not set a release date because, as Lupe told fans, they don’t think the album has any solid mainstream singles. Note to Universal Records, Lupe isn’t a mainstream artist. Lupe has refused to give into demands by changing how his record sounds or who it’s aimed at. Some have called Lupe stubborn, I for one applaud Lupe for making music he wants to make, and not letting record executives change who he is and what he’s about. Fans have begun a petition demanding that Universal releases the album. More than 16,000 fans have signed it and Universal Records tweeted this past weekend that “LASERS is coming” however still no release date has been set. - No release date has been set but it’s supposed to come out in the winter and the first song released is vastly different from anything the band has done in the past but very good. Sounds like something straight from My Chemical Romance’s catalog. As I blogged about in February of 2009, director Christopher Nolan is one of the few gentleman included on my man-crush list. I wrote that blog as soon as they announced Inception would be the next movie he was directing. 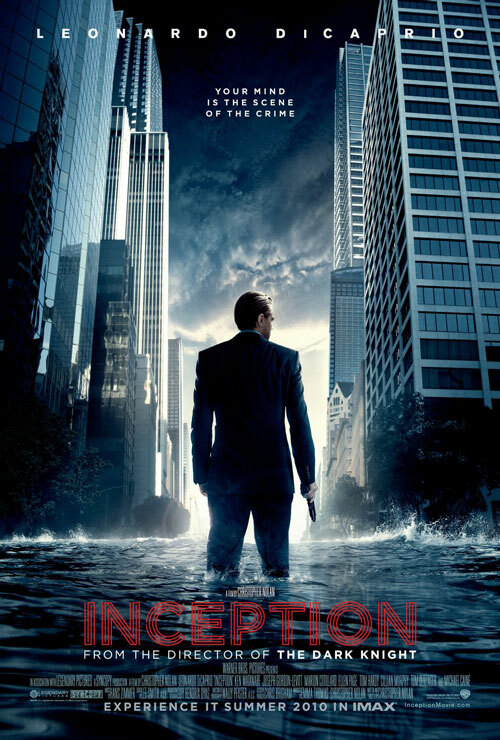 Seventeen months later, Inception has been released to the world and may be Nolan’s most confusing and complicated work so far. This blog isn’t reviewing Inception, but rather an ode to someone who at the age of 39, seriously will be considered as one of the best directors of all time in the coming decades. Out of the seven feature films he has directed, five of them appear on IMDB’s Top 250 movies of all time list. Three of them in the top 30. Two of them in the top 12. I know a thing or two about IMDB Top 250 list. In college, I subscribed to Netflix and pretty much went on down the Top 250 list and started renting the majority of them and then continued to buy most of them as well. The point of this blog is, Nolan makes his viewers think like no other director out there. Whether you understand the film, like it or hate it, it leaves a lasting impression on the viewer. After my first viewing of Inception, I labeled it Nolan’s fifth best movie, but here I am five days later still reading up on it, still trying to figure out what happened, and still toying around with multiple theories of what really occurred, or should I say, what didn’t occur. I think I’m finally starting to understand what really happened in Inception, but if someone sat me down in a chair and forced me to explain my theory to their face, I wouldn’t even know where to start. Nolan’s movies are not meant to only be viewed once and I most definitely plan on seeing Inception again in the theaters in the coming days. I’m not even so sure his movies are ever supposed to be fully figured out, as it’s completely obvious Inception is open to interpretation following the ending. At only 39-years-old, Nolan truly has the potential to be one of the most legendary directors of all-time with thought provoking films that leave people guessing, wondering and questioning for years upon years after a film’s release. 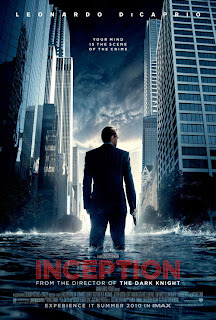 The truth is, I don’t think there is a truth to Inception. But I do know it will undoubtedly be one of the most talked about and debated films of the year, if not decade. Thanks Nolan, for providing the discussion. The greatest Indians manager in history (we can dream can't we?) Lou Brown passed away on Friday. Not really. Actor James Gammon, who portrayed the "Major League" Tribe skipper Lou Brown in the hit comedy, was 70. The Los Angeles Times first reported his death. "Yesterday, we won a ballgame. We win today, it's two in a row. We win tomorrow, it's a winning streak. It has happened before." "Let me get back to you, will ya, Charlie? I got a guy on the other line asking about some white walls." "Forget about the curve ball Ricky, give him the heater." "You may run like Hayes. but you hit like s***." "My kinda team, Charlie, my kinda team." "I'd just like to point out that every newspaper in the country has picked us to finish last." "OK Vaughn. They say you're a pitcher, you're sure not much of a dresser. We wear caps and sleeves on this level, son." "I'm deeply moved, every time you play one off your hips, you owe me 40 sit ups." Remember those fabulous Old Spice commercials? Well, Isaiah's back. And he's manlier than ever. Check it out. It has recently come to my attention that I am the night crew's resident "Twilight" expert. It's a horrifying concept, really. I would never call myself a "Twi-hard", or rabid fan of Stephenie Meyer's vampire romance series. However, after many nights trying to explain the finer points of the series to my fellow copy editors--such as the fact that Jacob is actually a shapeshifter and not a werewolf, and how Edward and other vamps can actually go in the sun without dying (although, I might die of embarrassment if I glittered in the sunlight, too--just kidding!) --I have decided it's about high time I embraced this particular role in the newsroom and brought copy desk discussions on the pop culture phenomenon that is "Twilight" to the public. Because, let's face it: Twilight surely isn't going anywhere any time soon. 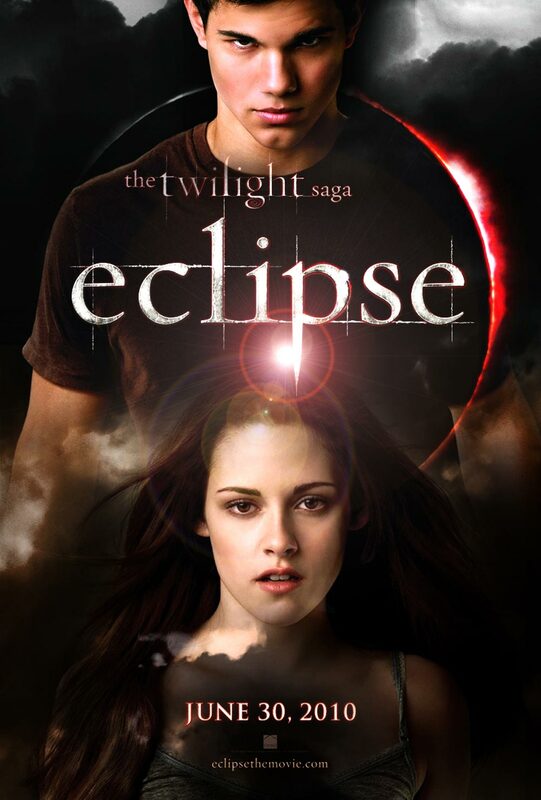 The current news is that the latest movie in the series, "The Twilight Saga: Eclipse," released last Wednesday, has taken quite a bite out of the box office. "Eclipse" has taken in $161.7 million since opening and was expected to gross around $175 million for the six-day holiday total, according to Associated Press reports. That is a very large debut, only recently surpassed by a few films, including "The Dark Knight" and last summer's sequel to "Transformers," also according to the AP. That's a pretty big deal, folks. It seems like all those self-professed "Twi-moms" and their teen daughters have come out in droves to stare longingly at the shirtless abdominals of the way-too-young-to-be-so-hot Taylor Lautner. Oh, and maybe they also want to see how the love triangle between Jacob Black (Lautner), Edward Cullen (Robert Pattinson) and Bella Swan (Kristen Stewart) will play out. Disclaimer: I haven't actually seen "Eclipse" but Entertainment Editor Mark Mezsoros reviewed it here. Check that out for more on the film. In any event, girls all over and of all ages are going absolutely gaga for this saga. The question on all of our minds is: Why? Twilight is everywhere I go these days. People (read: girls) are either drooling over the male stars, or dreaming about finding an Edward of their own. On the flip side, I hear a lot of extaordinarily negative comments about the franchise just as often. Either way, Twilight is one of the most talked about stories in pop culture right now. And I have absolutely no idea how it got to be that way. Now, maybe I'm biased because I grew up with Harry Potter. I still have the 'Platform 9 3/4' sign that adorned the wall of my college dorm room (and apartment... and I still have it at the age of 24--don't judge me). I totally get the craze of following your favorite fiction characters as they take life on the silver screen. So I get the basics of the movement. I just don't understand why now, why Twilight. At it's core, the series is a drippy teen romance. And sure, the books were entertaining enough if you like completely shallow, meaningless literature with too-perfect characters and a heroine who, I believe, is the exact opposite of a good role model for teen girls with her total dependence on Edward and her constant need to always be rescued. Add to that some pretty low budget films featuring bored looking actors with caked on white make-up, and Twilight just doesn't do it for me. So... what's the draw? Apparently I missed something, even after reading all four books and renting the first two movies. And again, maybe I'm just biased after having devoted half of my life to Hogwarts (side note: has anybody seen the trailer for Deathy Hallows?! OHMYGOSH! ), but I refuse to accept that Twilight is the next Harry Potter. So if somebody could please fill me in on how and why, exactly, Twilight got to be this big, I'd appreciate it.